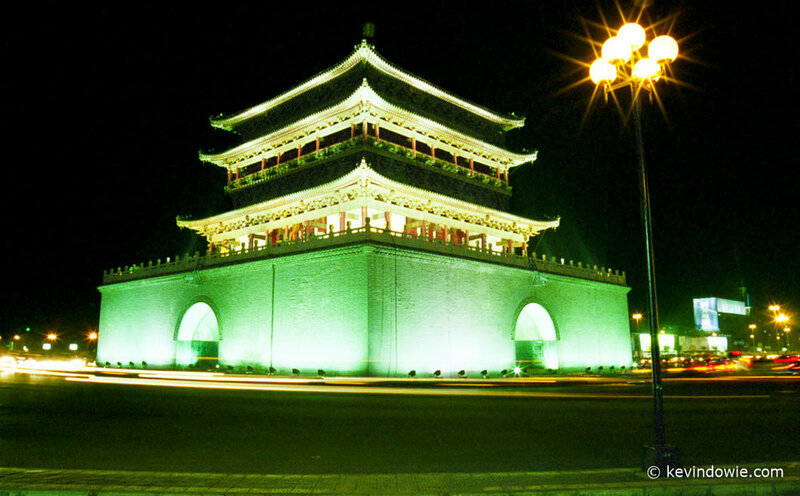 The city of Xian in China is best known for its amazing terracotta warriors, however there are other interesting things to see there including the bell tower (zhonglou), pictured here, in the city centre. Built in the late 14th century, it was relocated/rebuilt in its current location in the early 1700s. Original image on colour negative film. ~KD.